When Izzy and Jo leave their mountain home for a trip to the ocean, all they can say is wow! 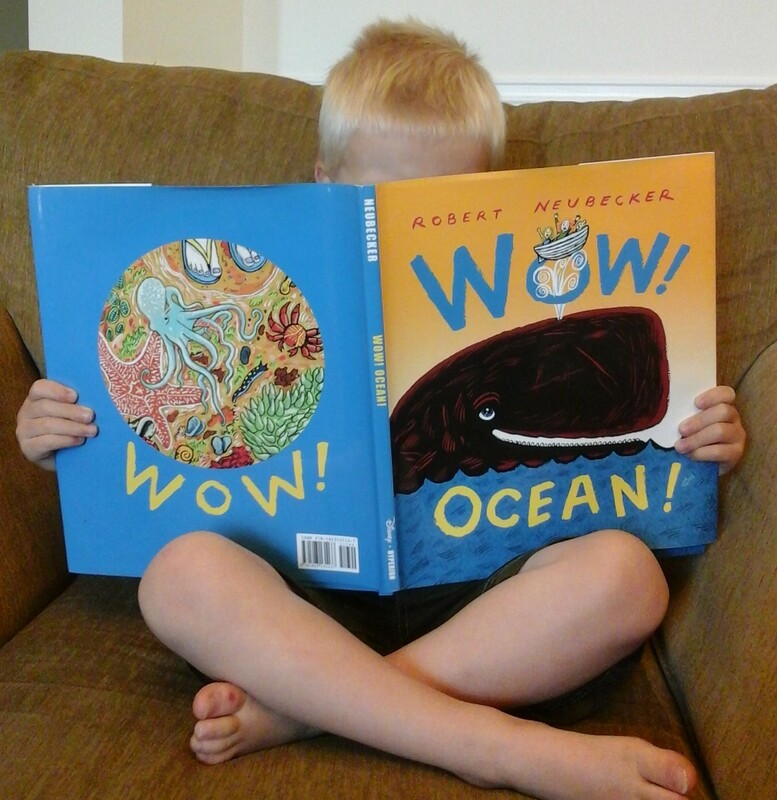 Readers join them in the excitement of their discovery of shells, tide pools, fish, rays, whales, sharks, jellyfish, the deep, coral reef, anemone, turtles, a sunken ship, and the ocean. Cover to cover the acrylic drawings in rich colors entrance the reader with mind-boggling detail. The encyclopedic labeling of common and uncommon living and non-living things found at the beach is a science lesson in disguise. Among the pages Izzy, Jo, and their tag-along crab-chasing dog dive with the rays identified as thornback, torpedo, giant manta, and butterfly. Especially fascinating are the two fold out pages—one for whales and one for the coral reef. Neubecker’s books Wow! America!, Wow! City!, and Wow! School! would complete a library collection. Whether parents, teachers, or students are studying science or enhancing second-language learning or simply reading for pleasure, they will find this a must-have book for their shelf. Rereading the Classics or nah?